In an earlier post I published a review of a book by independent author, Kevin R.D. Shepherd. As part of his citizen publishing project, Shepherd has recently updated his 1986 biography of Hazrat Babajan of Poona in a completely new book. This is complemented by three online articles, one of which is referred to below. The other two are ‘Hazrat Babajan, A Pathan (Pashtun) Sufi’ and ‘Hazrat Babajan’. What follows is my review of the new book. Kevin R.D. Shepherd, Hazrat Babajan: A Pathan Sufi of Poona (New Delhi: Sterling Publishers, 2014). That significant spiritual events need be attended by some preternatural sense of the numinous, or by outward ‘signs’ and ‘miracles’, are common enough expectations, if we are to go by the offerings of the mass media, or the ostentatious exploits of some contemporary ‘gurus’. Our extroverted society has a preference for the sensational, such that we commonly fail to notice the subtle or understated. In the latter case, even when our interest is piqued, perhaps by some pre-existing element of celebrity, we tend to focus on the outward aspect to the detriment of the inward. Such a course may be appealing to aggregate tastes, but it arguably results in a situation of misunderstanding that, at best, perpetuates confusion. The life of Hazrat Babajan challenges many of the assumptions we might harbour about so-called spiritual matters, and this life is brought to us through a new biography by independent British writer, Kevin R. D. Shepherd. His latest offering supersedes his earlier monograph (1986a), which was the first annotated book-length treatment of the subject. This new work clarifies a number of points and takes into account some publications that have appeared in the intervening decades. Furthermore, given that the task of a biographer is to engage sympathetically with his subject, while maintaining a critical stance towards sources, Shepherd arguably sets a precedent for engaged research that avoids the twin pitfalls of academic insularity, on the one hand, and popular sentiment, on the other. When Hazrat Babajan died at Poona in Maharashtra, India, on 21 September 1931, thousands of Muslims and Hindus are reported to have attended her funeral, the procession being described as ‘a tremendous affair, never accorded to any dignitary or royalty in the annals of Poona.’ (2014a: 95) Her tomb endures as an object of veneration to this day. Yet this elderly Muslim woman, reputed to have been over a hundred at the time of her death, had never preached, let alone expounded any doctrine or system; nor had she claimed affiliation with any religious group. Collating the data from extant sources, and situating it within the socio-political context of nineteenth and early twentieth century Afghanistan and India, Shepherd elucidates the significance of this remarkable life. Shepherd takes a critical approach to the sources, particularly in his astute sorting of historical from hagiological data, and his understanding of the complex factors involved in reporting and documenting obscure events. If one incorporates the literalism of the devotee mindset, and the dogmatism of sectarian authors, then one has a perfect storm of interpretative complexity. This is the sort of situation that scholars are supposed to negotiate, but their efforts are not uniformly productive. Shepherd’s approach contrasts with those of devotees and sectarians on the one hand, and compensates for scholarly lacunae on the other. But a life is always more than a set of ‘facts’. It is, rather, the context for those facts that endow them with significance. Furthermore, an awareness of context, and an ability to elucidate it interpretatively, sets one biographer apart from another. This hermeneutic exercise is not divorced from the facts, but must take them into account. This is true of all historical and biographical research, but it is especially important when the subject is as enigmatic as Hazrat Babajan. The earliest published biography of Babajan was written by Dr Abdul Ghani, a medic and devotee of Zoroastrian teacher Meher Baba, although two years earlier Charles Purdom had included some information about her in a book about Meher Baba (Purdom 1937). Ghani’s compact account ran to ten pages, and was published in the Meher Baba Journal in February 1939, eight years after the death of the subject. An early example of the tendency to neglect facts is Paul Brunton (the pen name of Raphael Hurst, 1898-1981), a British journalist with an interest in the occult, whose ‘A Search in Secret India’ (1934) became a bestseller. In late November 1930, Brunton had a brief verbal interchange with Babajan, through an unnamed interpreter, whom Shepherd identifies as Jal Irani, a brother of Meher Baba, who was assisted by the Muslim devotee Abdulla Jaffer (2014b: n. 34). This was only one of the omitted facts. Shepherd points out that Brunton’s version of Babajan’s life is inadequate and relies on the unsourced interpretation of a Bombay Parsi named Khandalawalla. The late Dr Marianne Warren (d. 2004) made various factual errors, including her statement that Babajan ‘gave darshan’, a Hindu term with implications of homage, a practice to which the saint was notably averse. She erroneously attributes joint authorship of a document on Babajan to Meher Baba, perpetuating a confusion that originated with the latter’s devotees, when they reprinted Ghani’s earlier biography, along with his supplement on purported miracles, in a booklet bearing Meher Baba’s name along with Ghani’s on the title page (Warren 1999; Shepherd 2014a: ‘Appendix 1: Drawbacks in Miracle Lore’; and 124, n. 1). Shepherd is in basic agreement with this position, although he has reservations about the use of terms such as majzub, which were often applied to a range of entities, resulting in a conflation of meanings. Apart from a critical appraisal of sources, throughout the book Shepherd establishes a positive context for interpreting the life of Hazrat Babajan. One example is the topic of fana-baqa, Sufi terms for the mystical process of ego annihilation followed by stabilization of consciousness. There are indications that Babajan underwent this complex process with the aid of both Hindu and Muslim preceptors. Babajan was often referred to as a faqir, a term deriving from an Arabic word for ‘poverty’. In fact, this seems to have been the only appellation she applied to herself. A core meaning of faqir is a mendicant dervish living on alms, but this has been broadened to include Hindu holy men, and is sometimes even a byword for ‘beggar’. In 1931 Winston Churchill referred disparagingly to Mahatma Gandhi as a ‘one time Inner Temple lawyer, now seditious fakir’. (2014a: 78) The term also became popularly associated with abilities of a supposedly occult nature, such as snake charming, lying on nails, and walking over hot coals. In his account of the meeting with Babajan, Brunton wondered: ‘Is it possible that … this haggard and huddled figure contains the soul of a genuine faqueer with wondrous powers?’ (2014a: 93). It was captured in a line from T. S. Eliot’s Macavity the Mystery Cat (published in 1939, five years after Brunton’s ‘Search’): ‘His powers of levitation would make a fakir stare.’ There are also mystical interpretations of the word. Shepherd devotes a relatively lengthy chapter to ‘Women and Sufism’. This is a topic where the life of Babajan is very useful and instructive, as historical records are markedly sparse for female Sufis. One notable exception was Rabia al-Adawiyya (died c. 801), whose life has been studied by British scholar Margaret Smith (1994). Shepherd refers to the latter’s claim that the development of Sufism within Islam presented women with the opportunity of attaining sainthood. Babajan was independent of any order, but her upbringing as a female Muslim would clearly make her sympathetic to the mystical dimensions of the religion. Significantly, she always referred to herself in male terms, and this stance could be interpreted as a demonstration of equality. It is also fitting that the name Babajan has male and female connotations. Shepherd also refers to the role of aristocratic female sponsors of Sufism, specifically describing the cases of Mughal emperor Shah Jahan’s daughter Jahanara (1614-81) and his granddaughter Zebunnisa (1638-c. 1702), who were, respectively, sister and daughter to the doctrinaire Aurangzeb. These liberal-minded women suffered at the hands of their zealous relation, whereas Babajan escaped any such fate by giving up her aristocratic status. Shepherd analyses Ghani’s claim that Babajan possessed the characteristics of a qalandar: ‘It is obvious that Babajan’s very unusual career posed Ghani with a dilemma of description for which no adequate terminology existed.’ (2014a: 97) For Shepherd the attribution is unsatisfactory, especially given what more recent scholarship tells us about the qalandars. Qalandars denied the relevance of formal religious observances, and their antinomianism could be extreme, tending to bizarre behaviour and even a libertine lifestyle. The trend was widespread in the middle ages; qalandars were sometimes assimilated to Sufi orders. This is perhaps as close as we can get to a ‘final verdict’ from the author. More information on the qalandars can be found in his ‘From Oppression to Freedom: A Study of the Kaivani Gnostics’ (1988a), and his recent Web article goes into greater detail about the similarities and differences to conventional Sufism discernible in Babajan’s life. Babajan left behind no organized teaching, which arguably made her legacy more resistant to cult or sect formation. 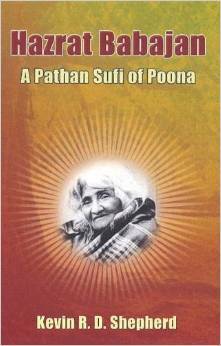 ‘Hazrat Babajan: A Pathan Sufi of Poona’ will be of interest to scholars and general readers alike. Demonstrating a genuine sympathy for his subject, and a subtle understanding of her context, the author makes an original contribution to the literature, and moreover one that sidesteps the sectarian and ideological influences that have at times afflicted researchers. In the end, perhaps it is fitting that an independent writer should be the one to elucidate the life of an independent Sufi, especially when some academics fail in their role as guardians of rigorous scholarship. Future researchers may have cause to thank Shepherd for his contribution to their labours. NOTE: A PDF of this review is available here. 1985: A Search in Secret India. York Beach, Maine: Samuel Weiser. Originally published in 1934. 1988: The Wayfarers: Meher Baba with the God-Intoxicated. Myrtle Beach, South Carolina: Sheriar Press. Originally published in 1948. 1939: Old Possum’s Book of Practical Cats. London: Faber and Faber. 1939: ‘Hazrat Babajan of Poona’ in Meher Baba Journal, 1(4): 29-39. Published as an eBook by the Avatar Meher Baba Trust in 2011. 2007: ‘Experiencing Qawwali: Sound as Spiritual Power in Sufi India’. Online doctoral dissertation (accessed 23 August 2014). 1937: The Perfect Master (London: Williams and Norgate). 1964: The God-Man (Crescent Beach, SC: Sheriar Press). 1986a: A Sufi Matriarch: Hazrat Babajan. Cambridge: Anthropographia Publications. 1988a: From Oppression to Freedom: A Study of the Kaivani Gnostics. Cambridge: Anthropographia Publications. 2014a: Hazrat Babajan: A Pathan Sufi of Poona. New Delhi: Sterling Publishers. 2014b: ‘Hazrat Babajan, Faqir of Poona’. Online article (accessed 6 December 2014). 1994: Rabi’a: The Life & Work of Rabi’a and Other Women Mystics in Islam. Oxford: Oneworld Publications. Originally published in 1928. 1999: Unravelling the Enigma: Shirdi Sai Baba in the Light of Sufism. New Delhi: Sterling Publishers. Shepherd wrote Meaning in Anthropos in 1984, but it was not published until 1991 (see the “New Introduction” and “Preface”; and further autobiographical context is provided here). I wrote my review as a personal exercise in the mid-1990s, long before I became aware of academic scholars like Pierre Hadot and Martha Nussbaum, whose work on ancient and Hellenistic philosophy is somewhat congruent with some of Shepherd’s emphases. For example, towards the end of the review I commented: “anthropography distinguishes essential philosophy from the academic variety”. A statement in the last paragraph of the first section is also relevant: “If objectivity in knowledge is a viable possibility, then formal study alone will not attain it, although formal study may be an important preliminary. Anthropography calls for a complete discipline of body and mind, a demand that strikes at the very heart of our philosophical assumptions concerning knowledge, although one that has a precedent in the lives of former philosophers, as familiarity with historical data will reveal.” For those unfamiliar with Hadot and Nussbaum, a brief explication may be useful here. Pierre Hadot (1922–2010), was a professor at the Collège de France from 1982 to 1991, and thereafter Professor Emeritus (professeur honoraire). In 1995 he wrote Qu’est-ce que la philosophie antique?, translated in 2002 as What is ancient philosophy? (Harvard University Press). Also published in 1995 was a collection of papers with the title Philosophy as a Way of Life (Blackwell), parts of which had been published in 1987 as Exercices spirituels et philosophie antique. Hadot’s ideas are well summarized by Australian academic, Dr Matthew Sharpe, in his Internet Encyclopedia of Philosophy article on the subject, and include the claim that ancient philosophy was indeed a “way of life” involving “spiritual exercises”. According to Hadot, this practical component of philosophy later found expression in medieval monasticism, while philosophy became more “discursive” and academic. He does identify remnants of the ancient conception of philosophy in the modern era, although they are almost entirely to be found in continental Europe (the single exception being Thoreau). I don’t mean to imply here that Shepherd would necessarily endorse all of Hadot’s ideas, or the ideas of those who embody “philosophy as a way of life” according to Hadot. He has certainly expressed criticism of some ancient philosophers (see, for instance, what he has to say about Aristotle and elitism in ancient Greece); but Hadot’s work does appear to lend historical support to the anthropographic conception of philosophy discussed below. For Shepherd’s even-handed appraisal of Hadot, see his Plotinus and the Enneads (2011). More recently there appears to have been a certain amount of interest in a more practical and engaged form of philosophy. One expression of this can be found in the 2012 article “Citizen Philosophers” by academic Carlos Fraenkel, whose Philosophical Religions from Plato to Spinoza (also 2012) might be seen as complementary to Hadot’s work. Another expression can be found in Adam Briggle and Robert Frodeman’s Socrates Tenured: The Institutions of 21st-Century Philosophy (2016). Their concept of “field philosophy” is presented as an antidote to academic insularity (see Matthew Sharpe’s review essay on Academia: “Socrates Reborn? Philosophy, after the disciplines” ). Someone who can lay claim to the title of “citizen philosopher” (or “field philosopher”) is surely Kevin Shepherd. Unlike Fraenkel, Briggle and Frodeman, he is not an academic, having early opted for the role of “serious amateur”, though not for want of scholarly aptitude, as his output makes clear. In an online item from 2008 (“Why do you call yourself a citizen philosopher?” – modified in 2013), he writes: “The rigorous citizen philosopher is independent from academe, is found among the common people, and is not a member of the career status elite. This category is not generally recognised by the academic salaried vocation (however, liberal academics do exist).” See also “Aspects of Citizen Philosophy” (2009). In the “New Introduction” (pp. xix–xxii), Shepherd describes the difficulty experienced by a rep who took a copy of the recently published Resurrection of Philosophy into “the most prestigious university bookshop in Cambridge”. As a local, Shepherd had been a regular customer of this bookshop some years earlier. The rep discovered, however, that the person in charge of the philosophy section was not interested in a locally published book by a local author (the subtitle of which contained a word of Cantabrigian origin), the reasons being that it was too difficult to classify and the author was unknown. The bookseller was eventually persuaded to take a single copy on a sale-or-return basis, which sold but was not reordered. Notwithstanding the challenges posed to the “serious amateur”, it could be argued that Shepherd, through his project of “philosophical anthropography”, has actually been demonstrating “citizen” or “field” philosophy for over thirty years. With that final observation in mind, I offer my original review. Kevin R.D. Shepherd, Meaning in Anthropos: Anthropography as an Interdisciplinary Science of Culture (Cambridge: Anthropographia Publications, 1991). Intercultural Research Series of Anthropography No. 6. This paper attempts a presentation of my own understanding of Kevin Shepherd’s Meaning in Anthropos. As such, it is unavoidably selective, and any misrepresentation on my part is regretted. Furthermore, these pages cannot adequately reflect the vitality of the book under review, and the force of criticism in particular. However, one purpose of a review is to stimulate interest, and it is hoped that the reader will be motivated to undertake a study of the reviewed book, and perhaps the other published works of the author, in the spirit of scientific objectivity. In my opinion, such a study would be worth the effort. As the main title suggests, the central theme of the book is that of meaning in anthropos, the latter being the classical Greek equivalent of our “human being”. In a sense, all questions of meaning relate back to the central question of meaning in the human entity, since the meaning of anything must be a meaning for something, and as far as we know it is only the human entity that explicitly seeks meaning. Therefore, the book is concerned with a question that should be of central importance to every human being. The search for meaning, or knowledge, and formulations of this search, appear to be coextensive with known human history. The subtitle of the book specifies the author’s contribution to these endeavours, in the form of an interdisciplinary science of culture that he calls “anthropography”, a word that can be dated at least as early as the sixteenth century, although it has since fallen into general disuse. Anthropography takes as its modus operandi the current, and useful, scientifico-educational format of a research strategy. One purpose of the book is to define this research strategy and differentiate it from other approaches to knowledge, both past and present, whether or not these are described as “research strategies”. The book is divided into two parts. The first part constitutes a basic definition of anthropography as a research strategy, including its epistemological basis and guiding theoretical principles. The second part extends this basis in an “Interdisciplinary Spectrum of Critical Surveys”. Here the author charts the implications of anthropography for disciplines such as sociology, psychology, philosophy, history, anthropology and palaeoanthropology, archaeology, biology, ecology, and the history of religion. In each case, the implications take the form of a pointed critique of shortcomings in the respective approach to knowledge, together with the more positive contribution of suggested improvements, the latter often in terms of neglected alternatives. Cutting across the formal content is a critique of current educational deficits. This in turn rests upon an even more basic critique of society. More explicitly, it is suggested that modern socioculture has reached a dangerously low ebb, requiring urgent and radical changes in patterns of human thinking and behaviour, if the ultimate outcome is to be positive. In this context, anthropography does not simply represent one research strategy among others, but poses a serious challenge to both establishment and popular circles, calling upon them to review the precariousness of their situation, or ignore it at their peril. This challenge is presented in the non-dogmatic spirit of scientific investigation. However, “non-dogmatic” should not be confused with “lax”, a confusion that Shepherd suggests is only too evident in both establishment and popular approaches, whether or not they are considered to be “scientific”. A primary requirement of anthropography is that a comprehensive range of data be employed by any research strategy purporting to be scientific. Anthropography disavows rigid disciplinary and cultural boundaries, although it does not repudiate the necessity for specialization. Indeed, academic and scientific specialization are essential, but are in danger of becoming myopic if they are not subsumed within a polymathic framework allowing critique, extrapolation, reformulation, and proposals for future lines of enquiry. However, the polymathic framework is not to be confused with the current popular alternative to specialization. If specialization tends to myopia, then the popular alternative is regarded as hopelessly diffuse in its emphases. The mushrooming “new age” trend is presented as a particularly pernicious example of this popular alternative to establishment dogmatism. In its polymathic format, anthropography stresses the contributions of non-Western societies to the field of human knowledge. Pre-modern societies, in both East and West, are also afforded a special emphasis. In this way, anthropography proposes to redress the imbalance caused by former, and contemporary, ignorance and distortion of such contributions, thus allowing a more objective approach to knowledge. Pluralism is genuine only if it allows for a truly comprehensive plurality of ideas and values, as opposed to a selected plurality convenient for the mental aggregate pitch of a materially dominant society. However, comprehensiveness of data is a minimal, though necessary, requirement. If it is to be of any use, such data must be adequately researched according to acceptable criteria. In short, it must be as accurate as possible. Such accuracy is not a hallmark of many approaches, whether popular or academic. Yet it is only on the basis of such accuracy that valid extrapolations can be made. The latter are allowable in situations where a paucity of data gives rise to undesirable lacunae. Thus anthropography is both historiographic and nomothetic in its approach. Shepherd borrows the terms “etic” and “emic” for the anthropographic appraisal of accuracy and inaccuracy. These terms are given precise definitions. “Emic” denotes ideas and values that are incomplete, non-mature, and/or corrupt. “Etic” denotes the uncovering and accurate description of emic ideas and values. Anthropography is concerned with an etic evaluation of phenomena. Accuracy will naturally invite comparisons and contrasts based on fine distinctions. The necessity for making such fine distinctions cannot be overstated. A disregard for this requirement has led, for example, to a devaluation of terms such as “mystical”, “gnostic”, and even “philosophical”. Conflation is one of the greatest enemies of objectivity. Blanket criticism, or praise, is not simply a fixture of bygone authoritarianism, but continues to be rampant in supposedly liberal contemporary circles. Just because some, or even many, so-called “mystics” can be shown to be charlatans, does not mean that one should throw the baby out with the bathwater and deny the validity of all “mystical” claims to knowledge. The unmasking of fakes is an admirable pursuit, if accompanied by a discernment allowing the appraisal of what, precisely, constitutes the true and what the false. Such discernment is a goal of anthropography. This discernment will be based on the foregoing requirements of comprehensiveness and accuracy. But anthropography does not stop at such “formal” requirements, however essential they may be. If objectivity in knowledge is a viable possibility, then formal study alone will not attain it, although formal study may be an important preliminary. Anthropography calls for a complete discipline of body and mind, a demand that strikes at the very heart of our philosophical assumptions concerning knowledge, although one that has a precedent in the lives of former philosophers, as familiarity with historical data will reveal. The demand for a discipline of mind and body is based upon studies arising from anthropography’s polymathic strategy – studies such as those listed above. The foregoing represents a very condensed and selective account of the anthropographic research strategy. In its brevity it leaves many questions unanswered. In particular, the diligent reader will require an elaboration of that which has been termed “a complete discipline of mind and body”. Such a notion may be foreign to the academic mind, except in the most banal sense, and this may well represent the anthropographic point of departure from the purely academic approach. This issue leads us to anthropography’s more positive (as opposed to formal and critical) statements concerning meaning in anthropos. The critical comments are important, but would not be optimally constructive if they did not lead to a positive alternative. Therefore, the views that are criticised act as a foil for the presentation of the anthropographic position. In this section, I shall attempt to synthesize various aspects of the latter, the critical element remaining largely implicit, due to considerations of space. Despite the obvious lacunae in all branches of knowledge, anthropography does not indulge in pessimism, relativism, or unfounded speculation, but instead claims that there is sufficient data available to contradict many commonly accepted notions and also to provide alternative explanatory hypotheses. It posits the necessity of both inductive and deductive (empirical and logical) approaches, emphasizing that the former must provide the latter with a sufficiently broad range of data. Only on the basis of such a comprehensive approach can the shortcomings in one area be complemented by the contributions of another. The distinguishing of constants and variables is a central heuristic principle for anthropography. Much confusion is created when a variable is taken as a constant, however much the evidence may seem to support such a tactic. For instance, in view of the increasing glorification of violence in the popular media, one could be forgiven for concurring with the opinion that man is nothing but a “naked ape”. Not only would such a comparison be detrimental to our simian relations, however, it would also display a gross ignorance of the finer manifestations of the human mind. Admittedly, the highest manifestations remain a potentiality in most cases, but this should surely lead to an investigation into the conditions of actualization, rather than a dogmatic refusal to acknowledge the possibility of such actualization. On the basis of its polymathic research strategy, anthropography posits a whole range of hypothetical constants and variables that invite further investigation, elaboration, and verification/falsification. However, commonly accepted notions of verification/falsification may themselves have to be revised in the light of anthropographic constants/variables. For instance, it is suggested that the human mind commonly operates at a fraction of its potentiality, and that the latter includes a refinement and supersession of lower-grade activity, producing degrees of enhanced objectivity in exceptional individuals. Therefore, verification/falsification may turn out to be matters of refined experiential capacity. Unavoidably, this assertion is itself dependent on a similar experiential verification. This does not rule out its assessment as an hypothesis, however. Such assessment may be largely philosophical, but it cannot be determined in a purely deductive manner; philosophy must correlate the data provided by a whole spectrum of disciplines. The human brain provides a focus for the elaboration of meaning in anthropos. Although research is arguably still in its infancy, recent studies support the contention that both hemispheres of the brain possess considerable scope for enhanced performance. Anthropography is critical of the reduction of left/right hemispherical potentials to verbal/spatial abilities respectively. Even the rational/intuitive dichotomy is regarded as hopelessly simplistic. Such labels do not rise above the level of the common denominator, and ignore uncommon manifestations of increasingly realized brain potential in particular individuals. Anthropography is critical of any position that glorifies one hemisphere at the expense of the other. Furthermore, exaltation of either one, or even both, of the hemispheres may turn out to be based upon an inadequate understanding of cortical operations at normal or enhanced levels. For example, the “new age” championing of the “intuitive” right brain, to the detriment of the “rational/intellectual” left brain, is seen to be an emic judgment, not based upon an adequate (i.e., etic) appraisal of the data. In opposition to behaviourist approaches, anthropography asserts the existence of a conscious self which is not reducible to the body, including the brain. But it is not a Cartesian dualism that is expounded here. It is not a question of explaining how a “mental” self interacts with a “physical” body, but rather one of explaining how the conscious self negotiates the “stream of impressions” that comprise the individual mind. These impressions include emotions, as well as thoughts and sensations, and they exist on conscious, subconscious and dormant levels of the mind. In the anthropographic view, the mind is as much a product of evolution as the body, and standard evolutionary theory is criticised for its materialistic neglect of this denominator. The evidence suggests a progression from the most rudimentary level of consciousness through the various species of plant and animal, involving greater and greater complexity, until the human stage is reached. This raises the question of purpose and order, and here anthropography is not afraid of putting forward hypotheses concerning ultimates. A beginning point, or “creation”, is hypothesized as an ultimate cause, although this is not understood in terms of creation by a conscious agency that is complete in itself (the “god” of theology). Rather, it is argued that there is a latent “intelligence” prior to creation, which remains immanent even after this event. The outworking of this immanent intelligence results in an orderly and purposeful universe, with a teleological principle. According to this paradigm, neither “survival of the fittest” nor genetic selection supplant consciousness as the central causal principle in evolution. Genetic selection does not explain species jumps, and although survival of the fittest may operate at early stages of evolution, it is argued that other motivating factors may intervene at later stages. Anthropography does not condone entirely mechanistic explanations of evolution, but instead posits an open-ended determinism in terms of the outworking of purpose and order. This implies an element of creativity, which may be aligned with free will at the human level. At this level the sociocultural factor assumes prominence as a form of species adaptation. Freewill implies the possibility of destructive as well as creative impulses, and the interaction of these impulses can produce collective trends in consciousness that result in the cyclical emergence and decline of sociocultures. Both materialistic and phenomenological theories of social change are rejected for their myopic constriction of data. In an orderly universe, the outworking of dissolution trends must proceed according to laws inherent in the evolution of consciousness. Evolution is an ultimate necessity, but de-evolution is a palpable contingency which may involve a sociocultural bathos in which freewill has considerably reduced scope for expression. Accumulating data in the human sciences does not contradict the foregoing explanatory hypotheses. Research in palaeoanthropology indicates that the present structure of the human brain emerged as early as the last Ice Age, and perhaps even earlier. This would imply that there are very large gaps in our knowledge of human history. However, from the data that are available it is possible to discern the emergence and nature of sociocultural patterns, including the activities of diverse constituent minority repertories. Such repertories cannot be understood on the basis of static categories, e.g., “religious”, “gnostical”, etc. A repertory may have included strongly creative potencies (and actualities) at its inception, but may have subsequently devolved to a distinctly uncreative existence, which nonetheless perpetuated itself in a ritualistic manner. There is the added complexity of the role of exceptionally creative individuals, who may have operated within the context of a minority repertory, or independently of any. There are indications that uncreative minority repertories have often masqueraded as “religious”, “mystical”, or “gnostical” entities. This does not disprove the existence of the genuine article, even if the latter is less obtrusive in its manifestations. Such negative trends appear to have had a deleterious effect upon the entire socioculture to which they belonged, resulting in its eventual collapse. This was usually followed, after an interval, by the emergence of another socioculture, which inherited both creative and uncreative characteristics of its predecessor. Which characteristics were nurtured, and which achieved preponderance, depended on the interplay of the constituent repertories, as well as individuals who had the ability to transcend social limitations and exercise a strong (although perhaps unostentatious) influence upon events. The question of individual incentive brings us back to the issue of brain potential. History provides us with ample evidence of exceptionally creative entities. A progressive theory of brain potential will obviously include the higher as well as the lower end of the scale. The implications of discoveries in this field should be of concern to educationalists. In the anthropographic view, mind exercises a causal influence on the environment, which may be beneficial or not. The interaction of the two factors is obviously important here. A dissolute environment is not likely to elicit higher potentials in the minds of individual members. The stream of impressions comprising such minds incorporates crude elements to a greater or lesser extent, and uncreative behaviour is a likely outcome. The scope for the exercise of free will is accordingly diminished, and it is permissible to speak in terms of the strongly determinative influence of the environment. However, determinism is always open-ended, and even in an oppressive environment motivated individuals can outstrip harmful influences and actualize previously untapped brain reserves. It is argued that the total operation of the brain would involve a sublimation and synthesis of left- and right-hemispheric tendencies which would dwarf current popular and academic measurements. Such an achievement would admittedly be rare, but cannot be discounted on this basis alone. Indeed, it is quite possible that a manifestation of this nature would represent an ultimate emergent of the process of creation and evolution. In such a brain we might have an example of the complete actualization of the inherent intelligence in the universe. Obviously, it would take a similarly activated brain to completely verify the event, but this factor does not rule out the possibility of varying degrees of recognition. Such a concept may seem far-fetched to some, while others would simply label it as “gnostical”, perhaps in the hope that it could then be safely filed away and forgotten about. However, the fact that a phenomenon is not generally recognized does not necessarily amount to its invalidation. The concept of a maximally operative brain may be an unfamiliar one in our present society, but this may simply turn out to be an uncomplimentary reflection on the latter. As already indicated, the current social situation is subject to pointed criticism in the book. Western society (which has become global in its extensions) is regarded as an unhealthy accumulation of various adverse trends. Materialist science, allied with capitalist (and communist) greed and ethnocentric complacency, has given rise to a form of technological dependency which is destructive to the environment, while at the same time its votaries neglect proper education in favour of a wasteful addiction to television, pop music, and any form of novel gadgetry which distracts from self-examination. Social chaos is reflected in the academic world, where postmodernity is regarded by some as a positive step forward into a realm where there are no fixed meanings and where anything goes. This situation is not likely to produce an accurate appraisal of constants and variables in the sphere of human potential. But it is only on the basis of such an appraisal that a viable educational syllabus can be drawn up – a syllabus that would avoid destructive tendencies while evoking the finer dimensions of the human mind. This is not simply a reference to a revolution in institutionalized education, but to a complete removal of crude stimuli from the environment. The foibles of ordinary understanding are presently producing a relativistic interpretation of the human situation. However, this popular route may be as much in error as assumed objectivity. In the midst of the confusion, anthropography proposes both a description of the predicament, and a prescription for its alleviation. Facts and values are thus seen to be inseparable in a valid scientific framework. At the hub of the anthropographic challenge is the following statement: the human mind, admittedly limited in a statistically large number of cases and under certain conditions, is capable of attaining to a greater objectivity under certain other specifiable conditions. Elucidation of the latter would require a metaphysical description of human nature. Anthropography does not discountenance such an undertaking, but holds that a more immediate necessity is the countermanding of basic inaccuracies in popularly received notions, and the provision of viable alternatives based on scientific research. Survival is always a priority, and is often facilitated by the removal of ignorance. If basics such as ecology are not properly understood, then there will be little point in elucidating finer dimensions. Ultimately, an understanding of human nature will depend upon the extension of research boundaries beyond academic and cultural confines. In particular, areas that are popularly labelled “mystical” must become subject to a rigorous, yet open-minded, scientific approach. Brain research provides a promising focus for the latter. The question of the meaning of life is traditionally the prerogative of philosophy. According to anthropography, the fundamental purpose of philosophy is to find sufficient answers to evolutionary problems. Philosophy should chart the bases of experience and living, which is an empirical pursuit in its own right, and not to be confused with academic philosophy. The latter attempts to answer important questions on the basis of insufficient data, often resulting in pessimism or relativism. For this reason, anthropography distinguishes essential philosophy from the academic variety. The former is concerned with definite knowledge, not with dogmatic assumptions of such knowledge or equally dogmatic denials of its existence. Meaning in Anthropos should be of interest to anyone who is concerned with the human situation. The anthropographic hypotheses contained therein are open to scientific scrutiny. It is incumbent upon those who consider themselves open-minded to undertake a study of these hypotheses before coming to their own conclusions.